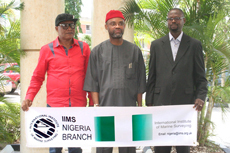 Welcome to the International Institute of Marine Surveying (IIMS) Nigeria Branch. The IIMS is an international, independent, not for profit, non-political organisation with its Head Office in the UK. IIMS Nigeria Branch would like to hear from surveyors interested in knowing more about our activities.